Murder Will Out, A New Hunter: The Vigil Adventure Available Now! What at first seems a case of an insane but isolated killer expands to put the cell at the mercy of an enemy that lives off violence itself, and can only be defeated by an act that could make the hunters killers on a par with the mass murderers they oppose. The story pits the players’ hunters against implacable killers of every stripe, and leads them into the grisly secret that links them all. A story in the Storytelling Adventure System for Hunter: The Vigil. 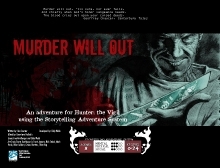 Murder Will Out contains Storyteller character records, props, a number of hyperlinks to various portions of the text as well as bookmarks, so you can always jump right to what you need with just a click. 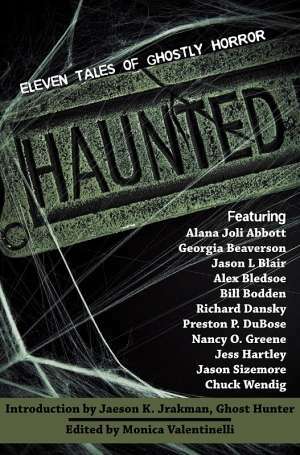 It is inspired by the upcoming World of Darkness: Slashers, but that book is not required to use Murder Will Out. Murder Will Out is available at the Flames Rising RPGNow Shop. Postmortem Studios Winter Sale & 100th Clipart Critter! 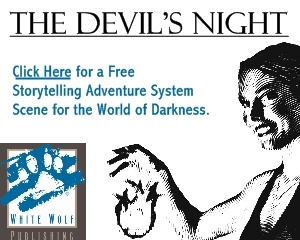 Two New SAS Adventures from White Wolf!